When I think about rangeland science, I think of it as a big puzzle. 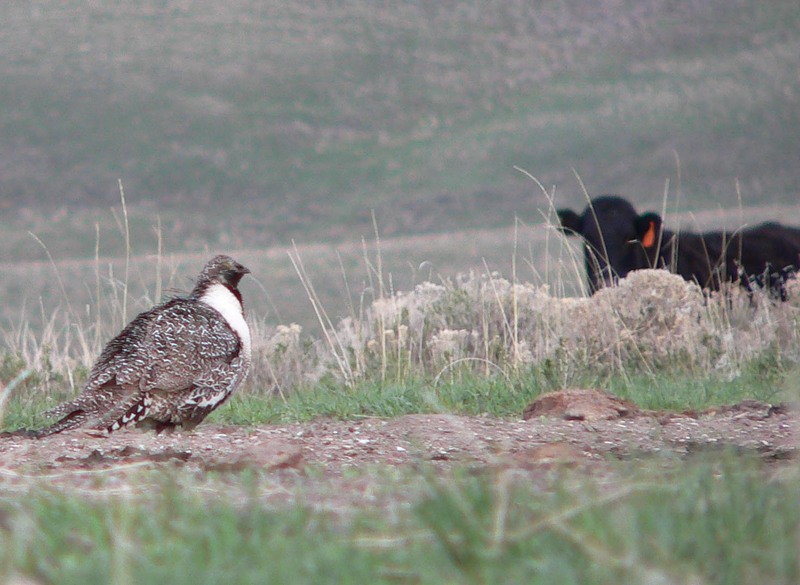 Each scientific study related to rangelands is a piece of the puzzle. A single study doesn’t prove anything. With regards to public land management, it should take many, many scientific and/or case studies (including good demonstrations) before an agency adopts something as policy. This is easy for me to say since I work at a university. Often scientists create the puzzle pieces and put them in context under the implications section of their paper—then leaving the federal land management agencies to put them together and create a policy. 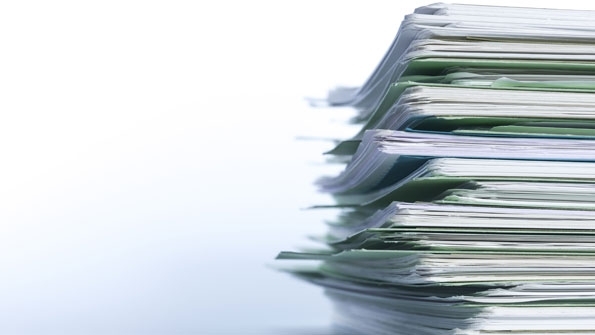 How do scientists and advocates use scientific literature? I believe (my opinion) scientists and advocates use scientific studies very differently. When I write a scientific article for a peer-reviewed journal, it’s nearly always with one or more co-authors. We cite other articles from primarily peer-reviewed journals. These articles: 1) further describe the methods we used in our methods section and 2) puts our research into a context that either supports or refutes my research findings. The second type of articles usually appear in our introduction or discussion sections of the paper. Our discussion section describes how our research fits into the bigger picture. It tells the reader why we think our findings are important and why they should care. On the other hand, groups that advocate removing all livestock grazing from public lands cite scientific literature to change public policy or sway the general public’s view of grazing. They usually cite a handful of carefully selected studies to build their case. In some instances, the portrayal of these articles is misleading or inaccurate. While several studies are enough to support a scientist’s research findings, I believe it should take a variety of peer-reviewed studies or literature reviews to create and/or change federal land management policies. The paragraph above is definitely opinion, not just my opinion, but opinion nonetheless. I have no intention of arguing the constitutionality of the federal government owning land. The U.S. federal government has always owned land and at times a lot of land (think Louisianan Purchase). As I was researching the enactment of the Taylor Grazing Act, I wondered why does the federal government own so much land in the West? I knew that much of the land administered by the BLM is referred to as “the land nobody wanted,” but was keeping this land part of a plan or did the government just get stuck with the land? Federal Land Ownership: Overview and Data from the Congressional Research Service had the answer. At the time of the homestead acts, the federal government enacted land laws with three distinct goals: 1) selling land to raise money; 2) homesteading to encourage settlement; 3) keeping some federal lands to protect our scenic treasures, as well as retain natural resources that would be needed for future use such as timber or mining. By the late 1800s, a preservation and conservation movement began in the U.S. It ensured that certain federal lands and resources were left untouched or reserved for future use. 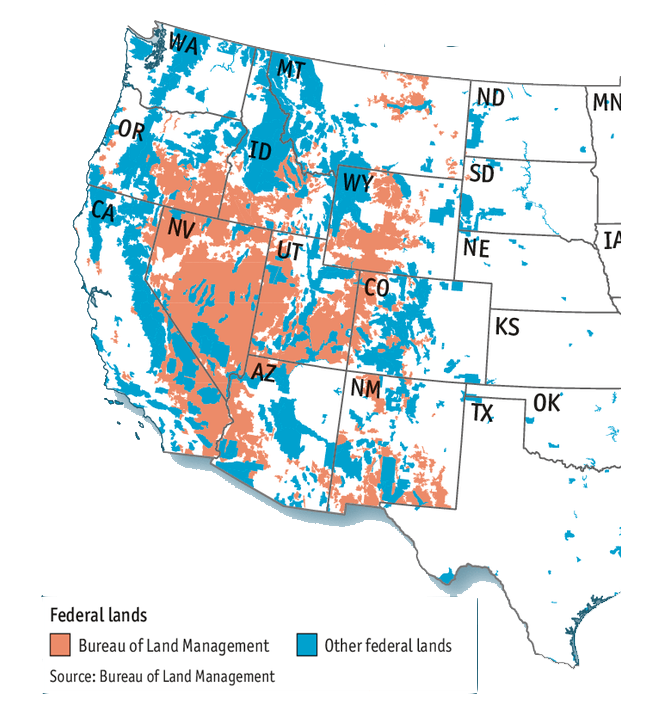 During the 20th century, the government changed its view from disposing of land to keeping and managing federal lands. During debates on the 1934 Taylor Grazing Act, some western members of Congress agreed that transferring the federal lands to the states was unlikely, but language in the act left disposal as a possibility. It was not until passage of the Federal Land Policy and Management Act of 1976 (FLPMA) that Congress declared that federal public lands would not be sold. Permanent federal land ownership was one several factors for the “Sagebrush Rebellion”, an effort that started in the late 1970s to push for state or local control over federal land and management decisions. This still continues today. Gorte, RW, CH Vincent, LA Hanson, and MR Rosenblum. 2012. Federal Land Ownership: Overview and Data Congressional Research Service. Congressional Research Service Report for Congress 7-5700. R42346. Washington DC, USA. When Does Science Become Advocacy? The graphic presents examples of actions that scientists take in conducting and reporting research. 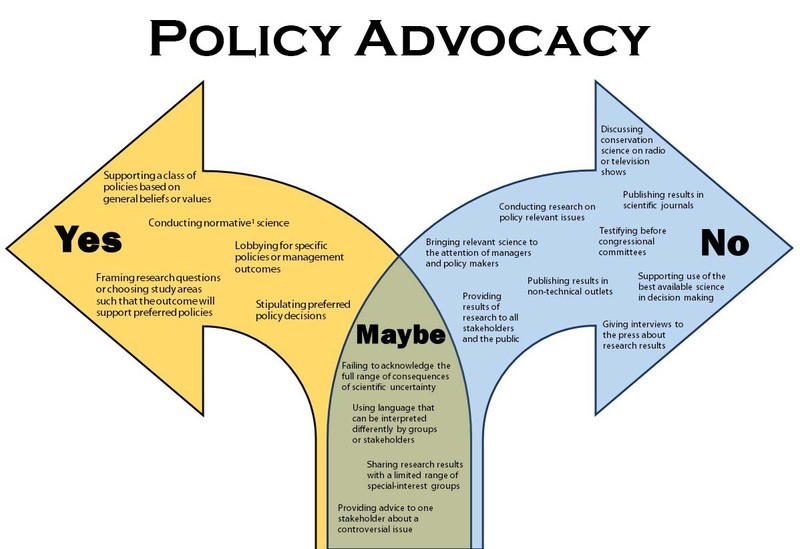 Listed actions on the left represent actions of policy advocacy, those on the right do not, and the center is a gray area. This is an adaptation of policy advocacy graphic and article by Scott et. al (2007). Click on the photo to make it larger. 1In the applied sciences, normative science is a type of information that is developed, presented, or interpreted based on an assumed, usually unstated, preference for a particular policy. Scott, J. M., Rachlow, J. L., Lackey, R. T., Pidgorna, A. B., Aycrigg, J. L., Feldman, G. R., … & Steinhorst, R. (2007). Policy advocacy in science: prevalence, perspectives, and implications for conservation biologists.Conservation Biology, 21(1), 29-35. 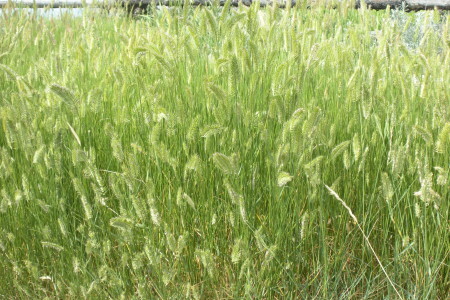 In the late 1800s, livestock operations in the western United States grew quickly due to high profits and what seemed to be an unlimited supply of free forage from federal government land. 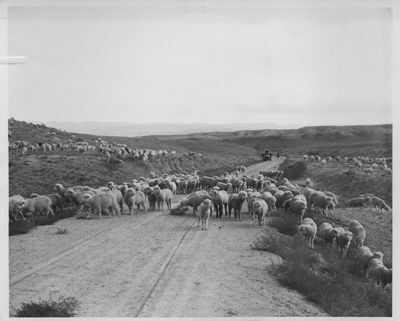 By the turn of the century, western rangelands were severely overgrazed and damaged. From 1870 to 1900, cattle numbers grew from 4.1 to 19.6 million head and sheep from 4.8 million to 25.1 million. As a consequence of greed and ignorance, public ranges became severely degraded. At the time, homesteading laws only allowed most settlers to get title to about 1,120 acres of federal land, insufficient acreage for most ranching operations. Ranchers tried to protect what they considered their customary range. 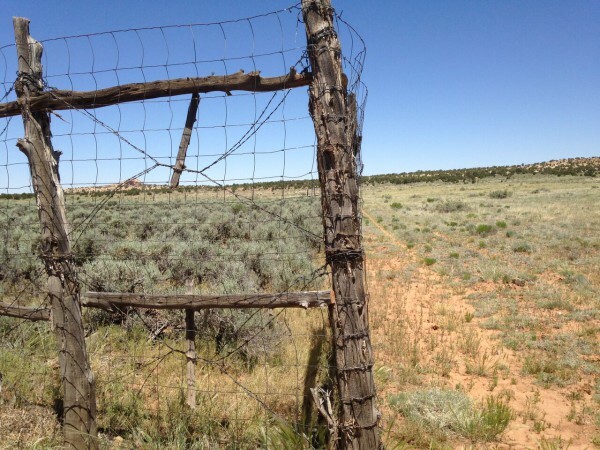 By 1880, barbed wire had become less expensive and large ranches began to fence the public lands that their animals grazed. Some fenced areas were hundreds of thousands of acres. In much of the West, water is a precious commodity. A stream, spring, or pond might be the only source of water for miles. Large ranching operations would have their cowboys make fraudulent claims under federal land laws that contained reliable sources of stock water. Control of a water meant control of the grazing on adjacent federal land. The Taylor Grazing Act (TGA) of 1934 Drought and depression in the early 1930s set the stage for adopting new laws to control grazing on federal land and the Taylor Grazing Act was enacted. The TGA placed controls on public land grazing and established specific grazing allotments or areas of use. Ranchers who received grazing permits had some guarantee their livestock operations were sustainable. TGA also specified that a portion of the fees collected for grazing livestock on public lands were returned to the grazing district to be used to improve public rangelands, such as fencing, water developments, and practices to increase livestock forage. After passage of the TGA and subsequent adjudication of public rangelands, the number of livestock grazing rangelands was reduced, and stabilized to a level considered by many to besustainable. However at the time, issues associated with multiple-uses were not considered. The Federal Land Policy and Management Act (FLPMA) of 1976 Changing social values toward protecting the environment and conservation of natural resources, as reflected by FLPMA, brought more scrutiny to livestock grazing on public lands. Also as the nation’s population increased, conflicts over public rangelands increased as more people began using public lands for a variety of purposes. Today, livestock grazing as a legitimate use of public lands competes with other legitimate uses of public lands, such as recreation, wildlife habitat, riparian management, protectingendangered species, mining, hunting, cultural resource protection, wilderness, and a variety of other uses. In summary, changing social values and competition for land use have required that public land management decisions achieve greater balance among conflicting resource uses. These decisions can result in reductions to livestock grazing to protect other resource uses and can negatively affect the economic viability of some livestock operations. However, decisions can also lead to improved range conditions which have a positive and stabilizing effect on ranch operations.